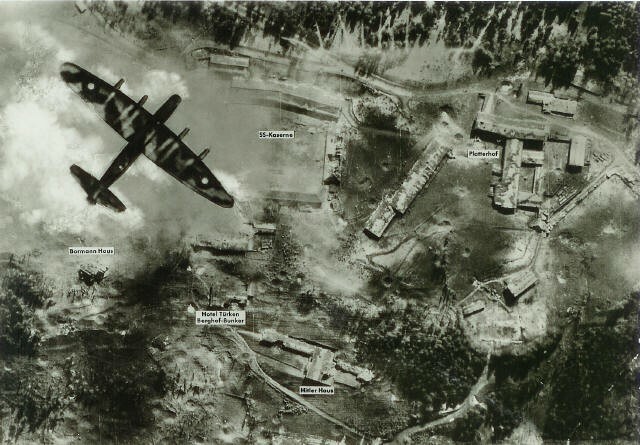 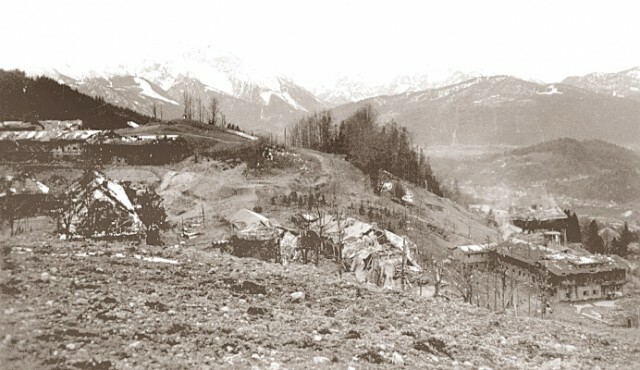 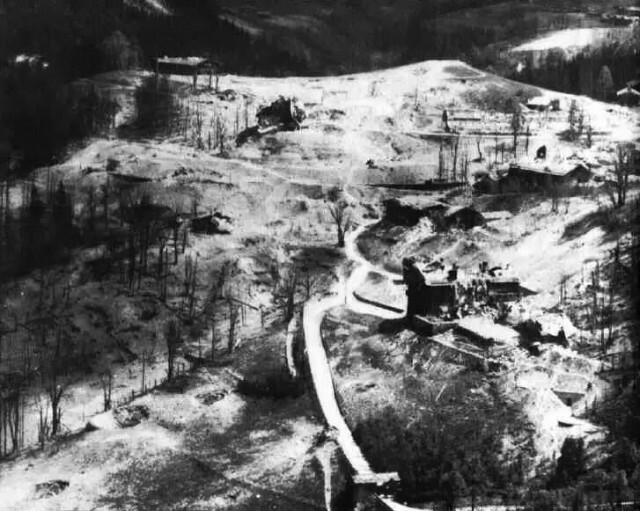 A P-47 Thunderbolt flies over the remains of the Berghof, first bombed and then set on fire by the SS only ruins remain. 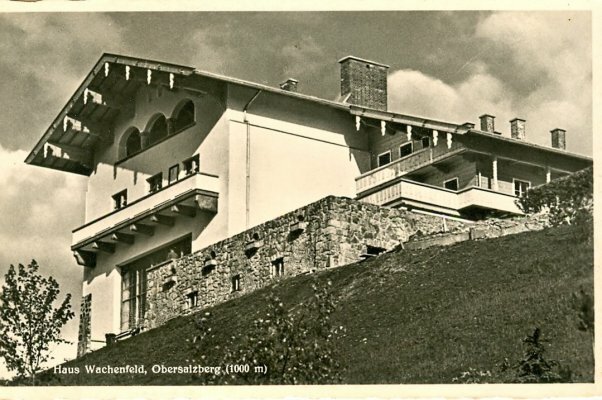 Hitler had always been attracted to the Obersaltberg, the mountain overlooking Berchtesgaden. 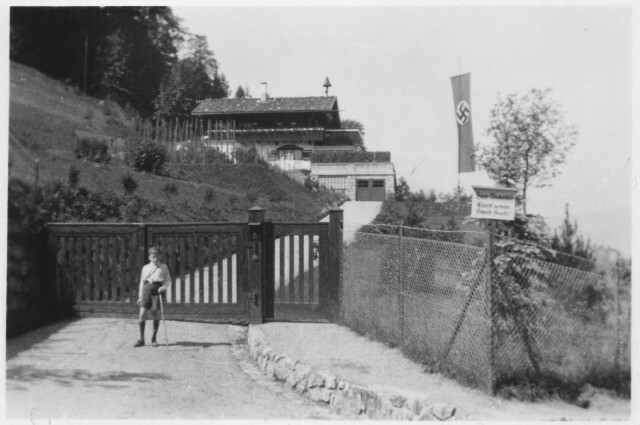 In the 1920s he had rented a house there and in the 1930s he bought Haus Wachenfeld. 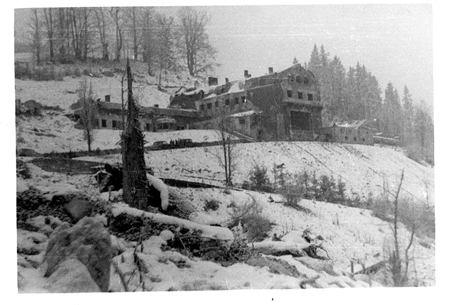 This was rebuild into the Berghof in which he spent a large part of the war. 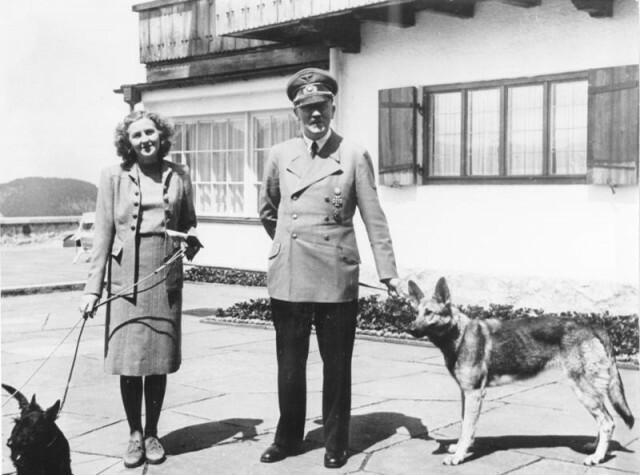 Being close to Hitler was very important for the Nazi Party chiefs and they moved into this area too, turning a lovely mountain into a Nazi powerhouse. 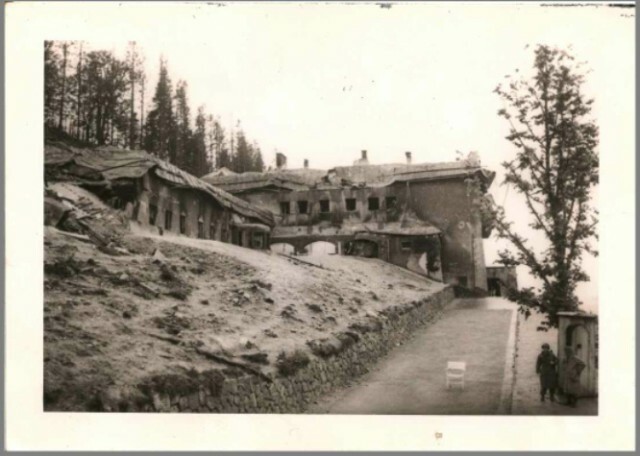 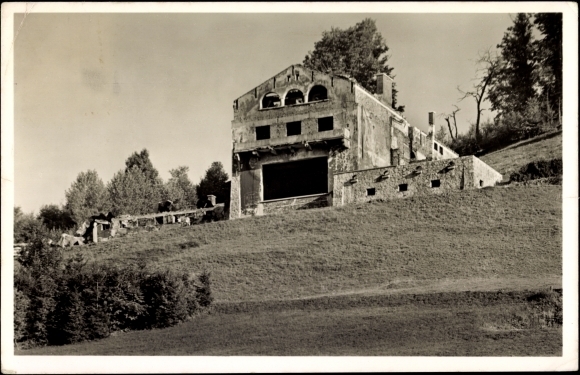 In the following photo’s we will be looking at the Berghof as it was, then bombed and gutted by fire, then blown up again and as it is now. 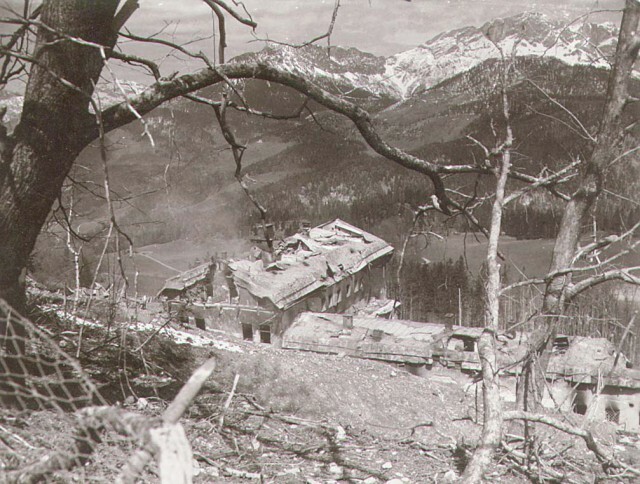 The destroyed Berghof it would remain in this state for 7 years until it was finally blown up in 1952. 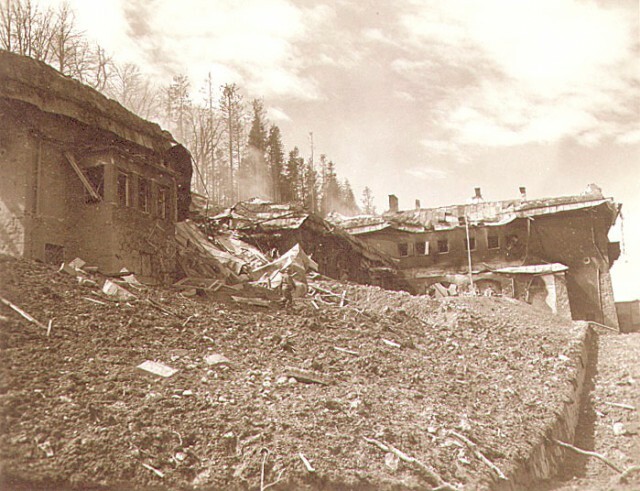 The remains of the garage that had so far survived destruction were pulled down in the 1990s. 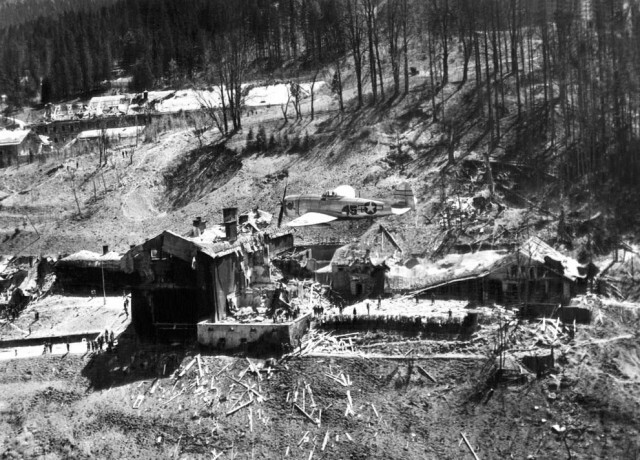 Only the retaining wall remains (see page 2). 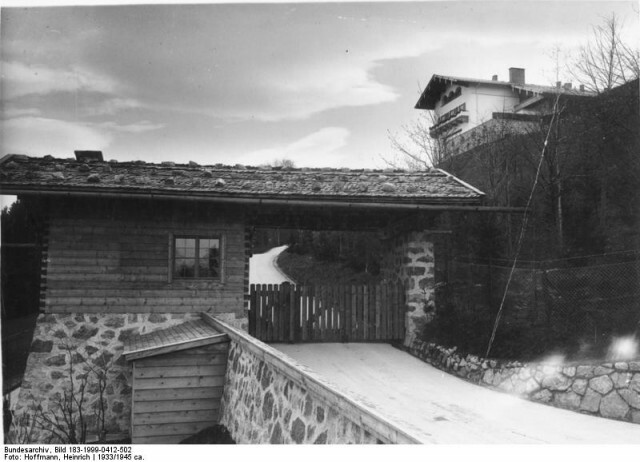 Looking up the the building from he street, the garage is on the right. 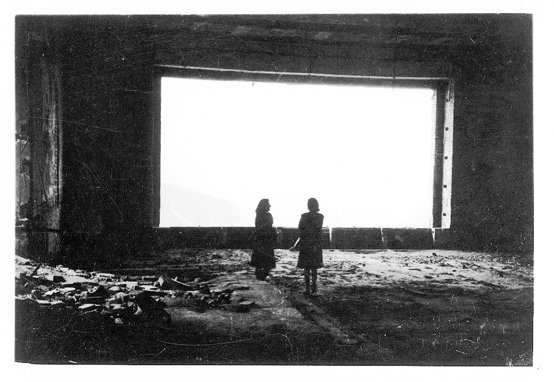 Looking out of what once was Hitlers living room, the massive windows that could be lowered were completely destroyed. 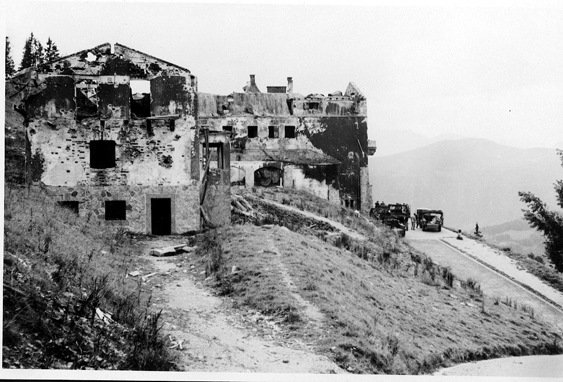 Looking up the driveway, note the American guard at the right. 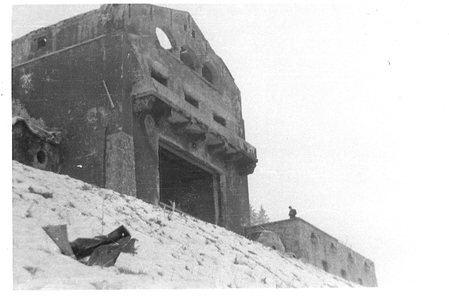 On the next page, pictures of the destruction of the remains and as it is today.